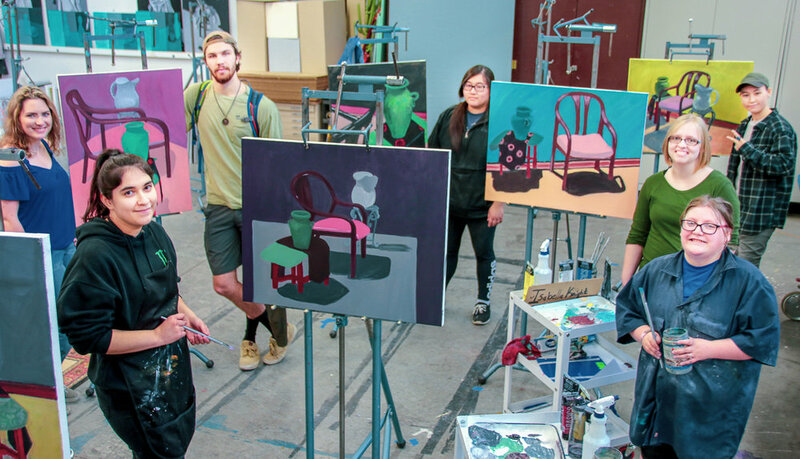 Pictured above with some of their work that will be on display are Motlow art students, from left, front row, Vanneza Martinez and Haley Thompson, middle row Isabella Knight, and back row, Alyssa Skoog, Austin Anderson, Wendy Liu, and Alex Weeden. The Motlow State Community College Fine Art Department will present a student art exhibit Apr. 11 - 26 in the Eoff Hall Art Gallery on the Moore County campus. The exhibit will feature original Motlow student artwork created in a Motlow fine art studio course during the 2017-18 academic year. The opening reception will be April 11, 11 a.m. – 1 p.m.